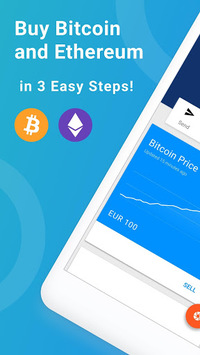 Bitcoin, Ethereum and cryptocurrency doesn't have to be confusing - learn, exchange, sell and buy cryptocurrency at the best possible price! Buy Bitcoin or buy Ethereum and then exchange or sell instantly - it couldn’t be easier with Luno. Don’t delay when it comes to trading cryptocurrency - learn how to store cryptocurrency anytime, anywhere. 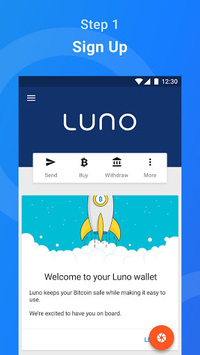 Buy cryptocurrency, build up your Bitcoin wallet and safely trade and sell Bitcoin and Ethereum - all with your Luno Wallet. Start your crypto coin collection today! 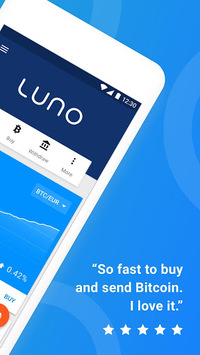 Buy Bitcoin and store cryptocurrency with confidence - whether you’re an advanced user or new to crypto coins, Luno is a must-have for buying and learning about Bitcoin and Ethereum. Available in 40 countries across Europe, Africa and Asia, you can access, send and receive your Bitcoin and Ethereum safely and securely in your Bitcoin wallet anytime, anywhere. Plus, you will get the price and rate that works for you! Collecting crypto coins couldn’t be easier.